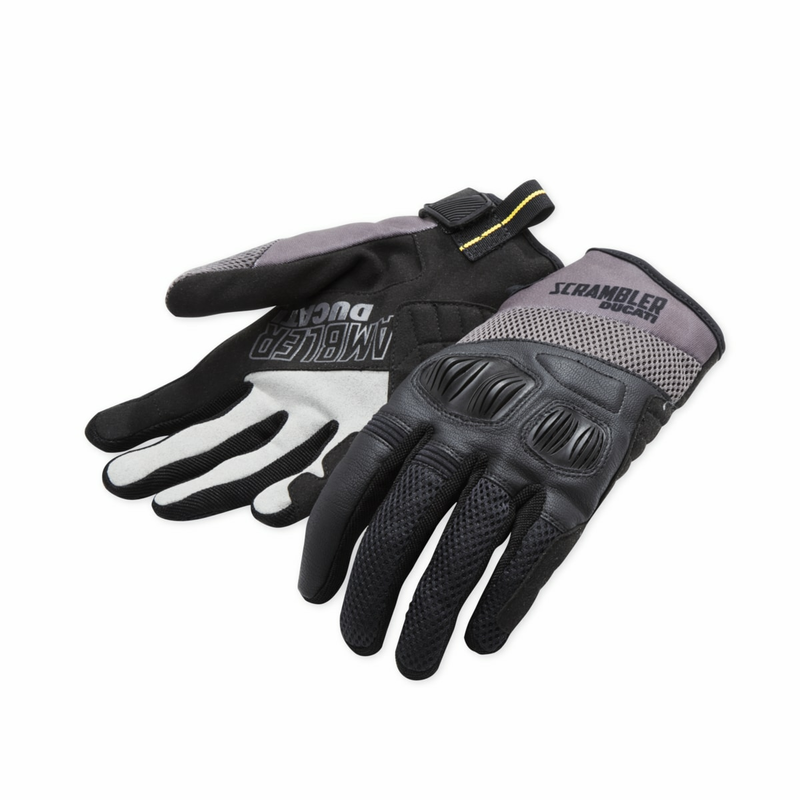 Overland 2 gloves, made of mesh and microfiber, have reinforced areas on the back and palm, and plastic protectors on the knuckles. 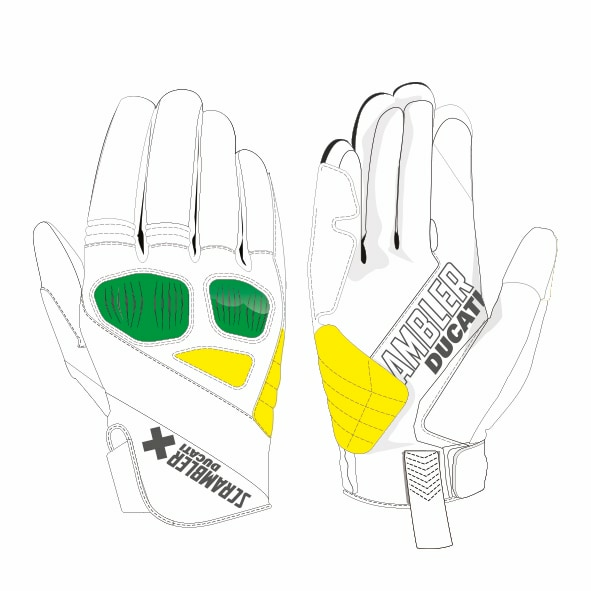 The palm in microfiber is Ducati Scrambler customized with a silicon print that increases grip. 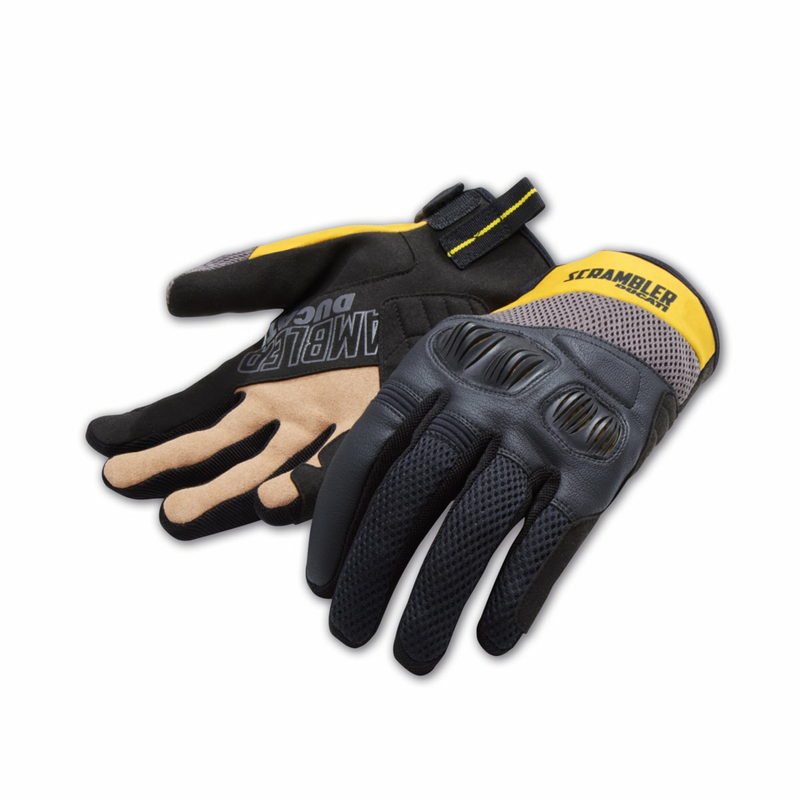 The distinctive style, the attractive color schemes - black/gray and black/yellow/suede - and the attention to detail make the Overland 2 gloves a genuine must-have.